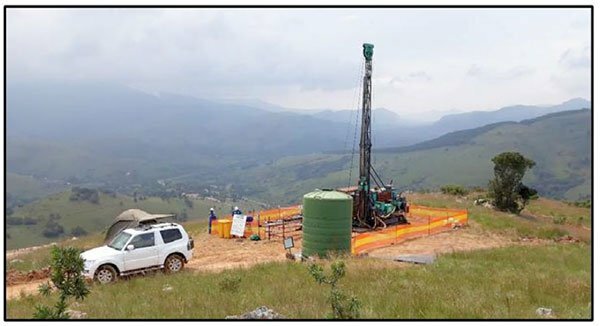 Stonewall Resources Limited (ASX:SWJ) today informed the market it had commenced diamond drilling at its Theta Hill gold prospect this week, while an RC rig is being used to test targets as part of planning for potential open‐cut resource calculations and feasibility work for later in the year. SWJ announced last week the maiden open cut resource at Vaalhoek of 0.62Mt @ 16.9g/t gold for 335koz (88% Inferred). 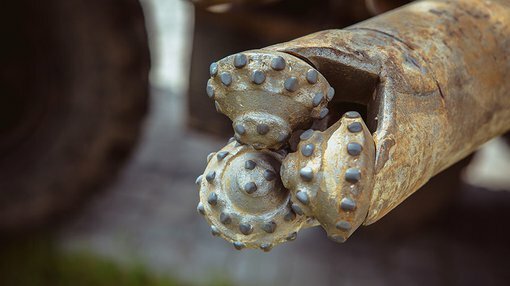 Drilling contractor OMT Exploration Drilling has now commenced the drilling with diamond tails to be completed on 20‐25 holes. The programme is expected to be completed by April, with assays made available from late March. All going to plan, SWJ expects a maiden open‐cut resource at Theta Hill by May 2018. 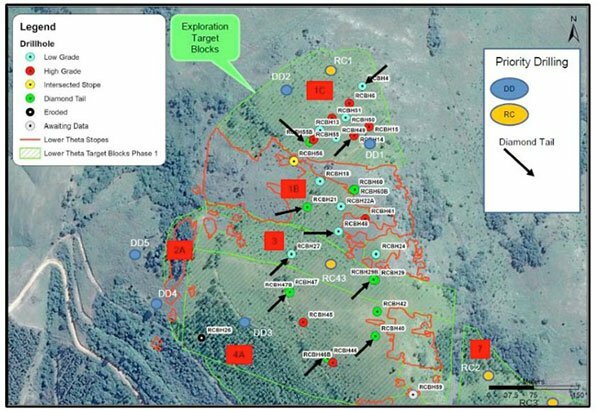 The Theta Hill prospect is SWJ’s current focus for establishing a second JORC open‐cut resource as part of Project Bentley, which would mark an exciting milestone for the small-cap. The drill rig on site at Theta Hill. Initial diamond drilling locations for Theta Hill. Additional locations to be determined as programme progresses.